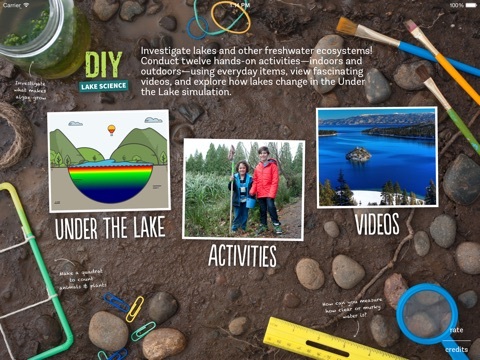 Instead of sitting inside and playing on their electronic devices, DIY Lake Science encourages kids to explore lakes through indoor and outdoor science experiences. 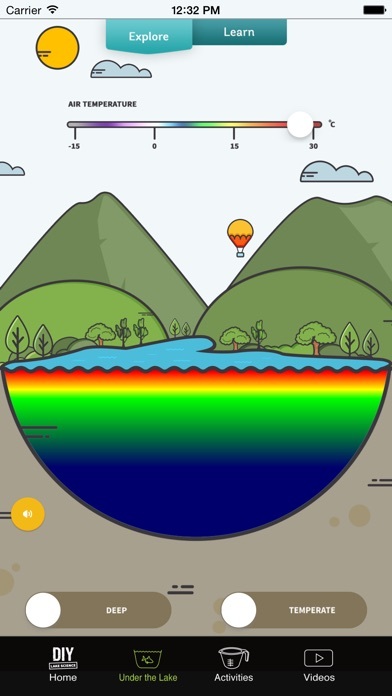 The app was developed by UC Berkeley’s Lawrence Hall of Science and funded by the National Science Foundation, so there’s no doubt that the information and activities contained within are of the highest caliber. 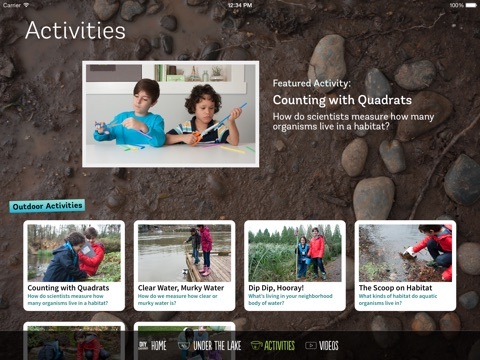 While it may not be the most interactive app, it offers some interesting videos and engaging experiments to help kids learn more about the environment. 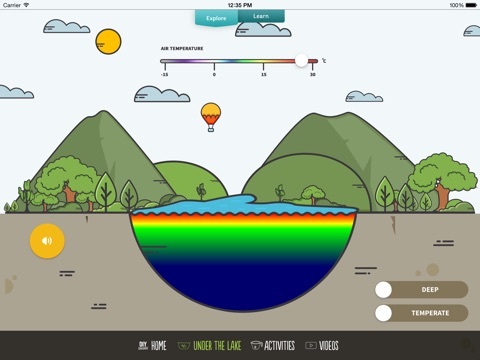 The app is organized into three main areas: Under the Lake, Activities, and Videos. Each section is well-organized and all of the components are clearly labeled. 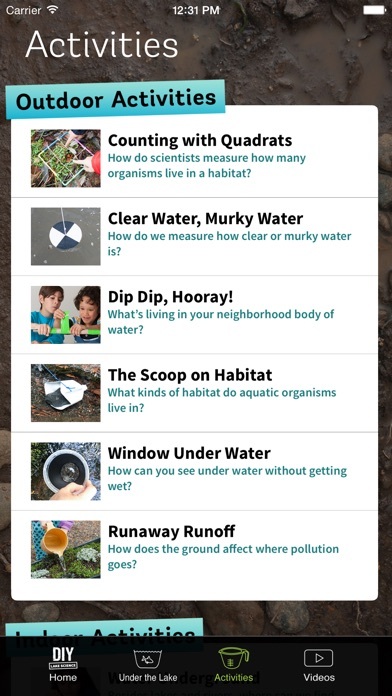 In the Under the Lake and Activities sections, information is organized by tabs that detail each step, making it easy for kids to navigate through the information and instructions, as well as quickly find the takeaway. The videos section features videos organized by categories. All videos are embedded from YouTube, so an internet connection is needed to view them. Developers of the app took special care to make sure kids understand the science behind the different activities and the Under the Lake simulation. While the “Explanation” and “Learn” tabs are a bit text-heavy, they are chock-full of information for kids. 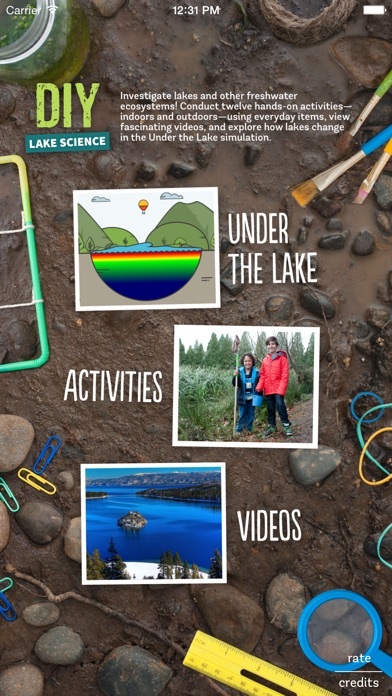 In the activities section, all of the activities are laid out in a step-by-step format and each step includes a picture to help kids understand what is going on. The activities are also clearly labeled by age level and the time they take to complete so kids can find something appropriate for them. Most activities are designed for ages 7 or older. The app itself feels like a textbook or an informational website. Kids can interact with the Under the Lake simulation a bit, but this activity, while educational, is still a bit dull. 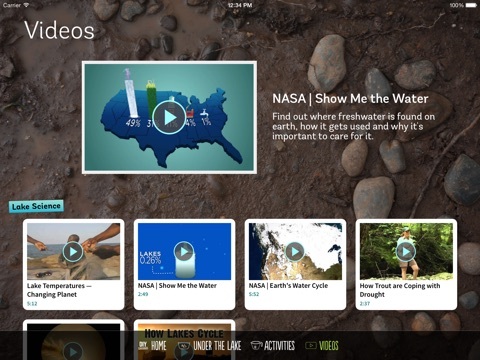 The videos contained within the app are a mix of videos designed for kids and adults. Some are fun to watch while others may not capture the attention of a lot of kids. 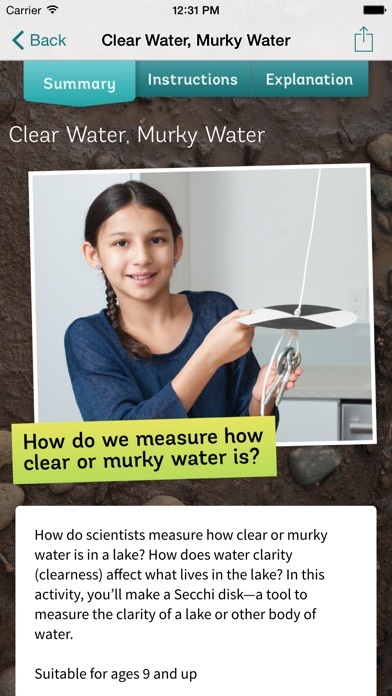 They’re definitely great resources for parents and teachers who want to help kids connect science to real life. 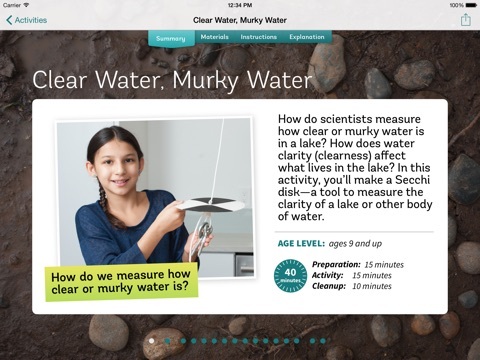 Considering it is free, DIY Lake Science is an exceptionally high-quality app with a lot of educational material for kids. 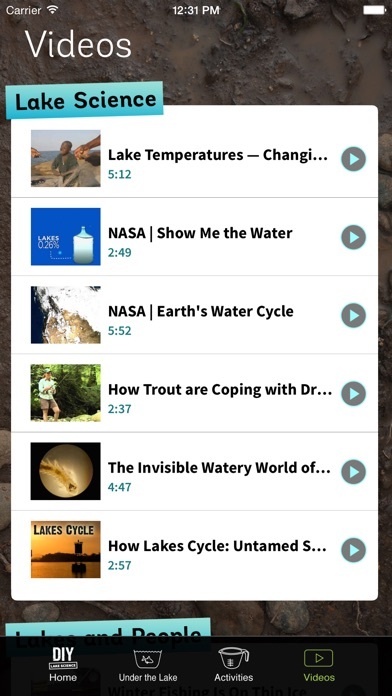 It is worth a download for parents who are looking to help their kids learn more about the outdoors and for teachers who want to bring lake science into the classroom. The activities and videos in the app have largely been designed for kids ages 7 and up. All of the videos come from YouTube, but kids do not have access to additional YouTube videos while watching them. Many of the videos were also designed for adults, so while kids might be safe watching them, there may be a bit of content that is over their heads.